Being smart about energy procurement can go a long way toward ensuring your operation’s success. As sustainability has become a core business tenet for many organizations, and energy from renewable sources is expected to make up 26 percent of total U.S. energy generation by 2030, our experts can help your team understand the multiple options available and objectively weigh the risks and rewards of each. Ultimately, we’ll help you leverage renewable energy options at the most affordable rates to meet your business goals. Best practice renewable energy purchasing strategies vary based on geographic area, local regulations, and state and local incentives. Our experts know renewable energy nationwide, and we’ll help you navigate your local terrain while meeting your overall strategy. Let’s go beyond sustainability with a renewable energy approach that meets your business and financial goals. 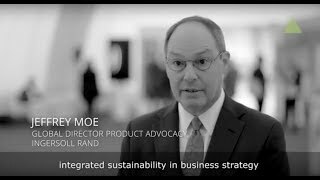 Want to know more or learn how Trane has helped Ingersoll Rand incorporate renewable energy into their Environmental Commitment?